At Patrick’s Pet Care we offer balanced training that is customized to match the needs and personality of each dog and designed to give you the tools you need to be able to communicate with your dog and achieve your personal training goals together. We offer a variety of different options including day school, overnight board and train, group classes, one topic seminars, and private lessons. If you don’t see what you’re looking for, just ask us! Drop off your dog to play, and have her come home with better manners! The Dog Day School is meant to proactively reinforce the basics of being well behaved at Day Care while also making a point to avoid the common “group” or “pack” bad habits that many dogs inadvertently pick up at most dog day cares. Send your dog to Day School for $10 per day, in addition to posted Day Care rates. The prerequisite for a successful day school experience is completion of a basic obedience class or a demonstration of working knowledge of the same. Send your dog to stay and train with us while you’re on vacation! They’ll receive daily personalized training in the areas they need most, such as obedience, specialized training, behavior modification, or continued education training. All dogs in the program will do multiple sessions throughout the day, and each session is personalized to the dog and their energy level. Generally, each session lasts about 15 minutes. You might think that’s not very long, but learning is exhausting for both dogs and humans and that length of time avoids burn out while allowing us to keep up the pace. In between these sessions they will be in the climate controlled boarding room where they can get a quick power nap, go out on a walk with one of our trained and experienced dog walkers so they can get that fresh air and potty break, or hang out amongst our day care groups to build good social skills in a structured environment. This is where we meet with you and your furry family, get a feel for the dynamics of your relationship, and learn about your goals for what you would like to get out of this training. We discuss what you’ve learned about your dog’s personality, and try to identify any unique challenges he or she might experience in the program so we can plan our lessons accordingly. We’ll establish the foundation for training now and into the future by setting up a routine and forming the relationship between the trainer and dog through stimulating games and controlled play time. It allows for a chance to find out what really gets the dog motivated so we can use that during his/her sessions as a reward to show that what they’ve done is exactly what we want and help build that history so they’re more excited about performing that behavior because of what comes after. These are the basic commands that every successful dog should know to be a well behaved member of the family. It starts with sit and stay as the first lesson and moves on to down and stay, go to place (go to your bed) and eventually the recall. All of these are performed at a distance of 6 feet (the length of the leash) and towards the end are performed without a leash with and without distractions. Along with the basic obedience and loose leash heeling there’s also a handful of extra options we offer when it comes to your dog’s education. 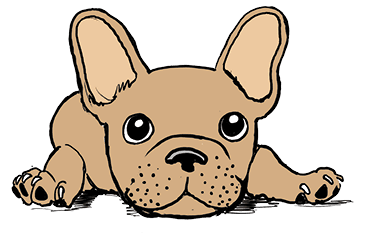 These options include but are not limited to introductions to new people with or without dogs, house manners, restaurant etiquette, proper play, introduction to interactive toys, intro to nail clipping, intro to groomer/vet etiquette. We can’t offer all of them in only 14 days, but we will include two additional extras of your choice with each 14 day boarding customer. All 14 day board and train clients will receive a detailed status update on their dog and the progress they’ve made as well as a picture or two showing how much fun they’re having while with us so you can have the peace of mind knowing that he/she is in great hands. When it’s time to go home, the learning and work continues! Clients receive a go home lesson when they pick up their newly trained friend as well as a follow up lesson either in the shop or at their home. Just to give the best possible chance of having a successful transition from training environment and routine to a less structured home environment. Our 30 Day Program includes everything that the 14 day program includes, but over a longer period of time for those dogs that have more advanced behavior concerns that require extra time, patience and attention to overcome. Like humans, not all dogs start their learning at the same place, and not all dogs learn at the same speed. Trust cannot be forced or rushed, but we welcome the opportunity to earn it. Addressed on a case by case basis, please get in touch with us. If there’s a particular subject you’d like to see taught or a particular area you need help with, get in touch with us. This is a 6 lesson (once a week) class for puppies aged from 8 weeks – 1 years old and is considered to be our puppy kindergarten. It teaches good social skills, basic obedience, and also introduces them to different surfaces and sounds to give them positive experiences and build their confidence in new places. Basic obedience includes sit, down, stay, come, go to bed, and also an introduction to crate training. This class is an hour of hands-on training and instruction, and includes handouts describing all the information we covered in class that day. This is a 6 lesson (once a week) class for dogs aged 1.5 years old and up, which is generally considered the adult phase for dogs. It focuses on being well behaved (not jumping, getting overly excited, etc.) when out in social environments and not running out of the door every time it opens. It also covers the basics of obedience (sit, down, go to bed, come to me, stay) as well as gives the dogs a chance to build social skills in a controlled environment. Complete this link to sign up! Private lessons are the most effective way to provide you and your dog what you need to be successful: individual attention, consistency, the time and space to address the unique characteristics of your dog’s personality, and the ability communicate with one another. Private sessions include a personalized training goal for you, continued email support, articles and handouts, and a clicker (if applicable). Get in touch with us to set up a consultation and meet with a trainer. Patrick is the founder of Patrick’s Pet Care, and has trained dogs using his own self-taught methods for more than fifteen years. In the summer of 2017, he formalized his training education at Starmark Animal Behavior Center in Austin, Texas where he learned the terminology and methodology of professional, balanced dog training. He incorporated the structure and discipline of the formal education into his long-standing philosophy of training that is anchored in two-way communication between human and dog. He believes that they will talk to you, even if they don’t use words, and if you listen and communicate back in a way they can understand, even the worst of obstacles can be overcome. Teaching the two-way communication to others is his passion. He’s never met a dog he didn’t like and he takes a particular interest in the “troubled” and “difficult” cases that other trainers can’t handle, won’t “put up with,” or don’t like. Patrick earned a bachelor’s degree from Georgetown University and a master’s from George Washington University.